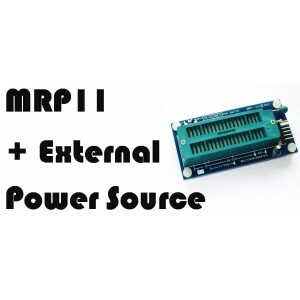 Step by step guide to applying power on MRP11 Multi AVR Adapter. 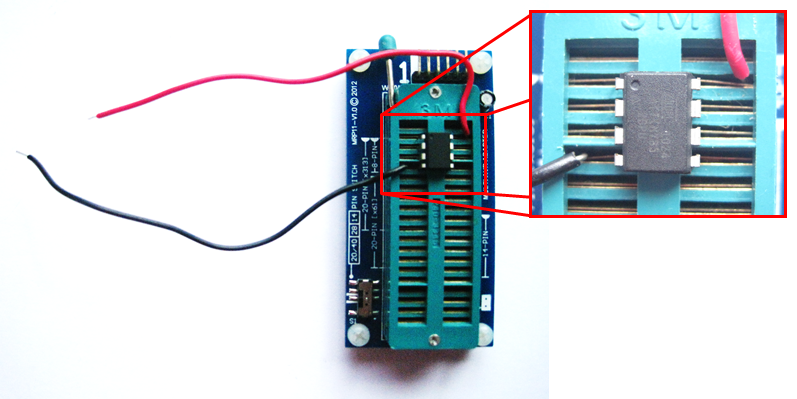 Identify the VCC and GND pin number for target MCU from datasheet. 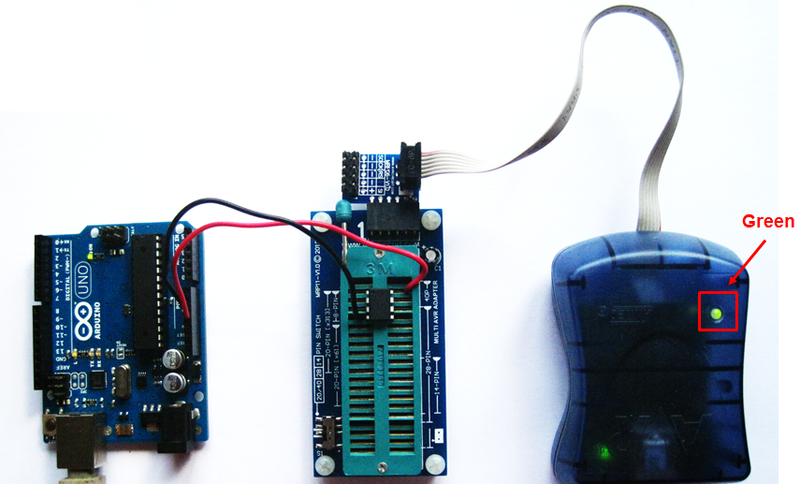 For example, ATTINY85 has VCC at Pin8 and GND at Pin4.